Spring 2019: It’s My Park Day! 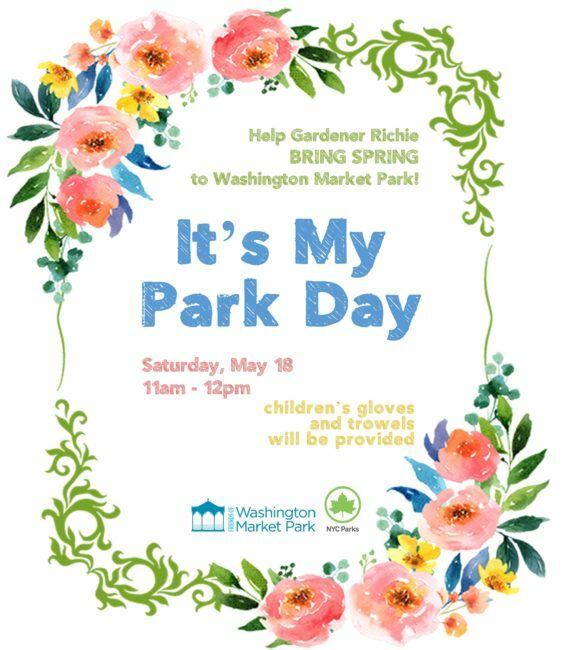 Join Gardener Richie as he helps get the park ready for Spring! 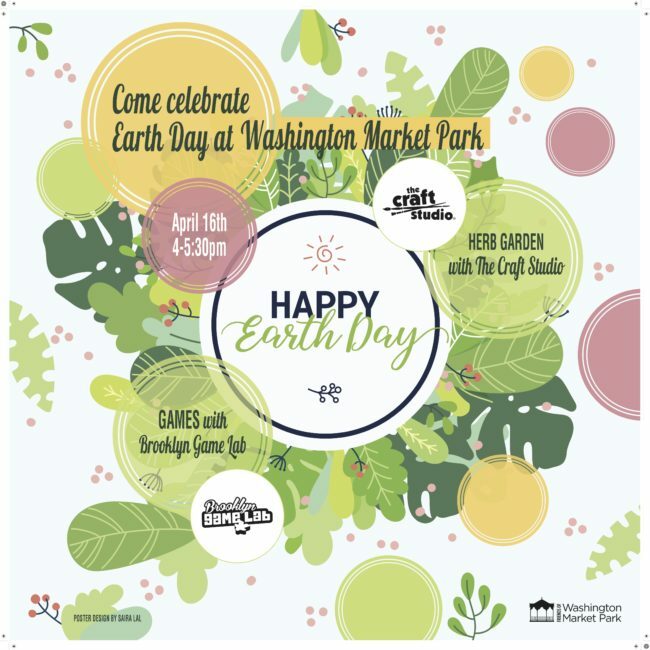 All ages welcome… crafts and games to celebrate Mother Earth! 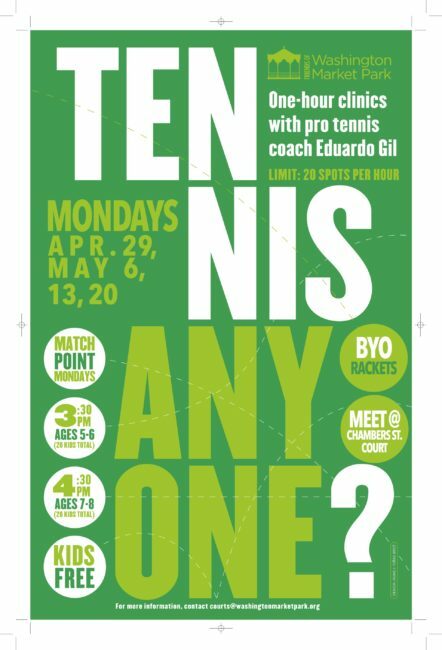 Come join pro Eduardo Gil for free tennis lessons! First come, first serve. BYO rackets! 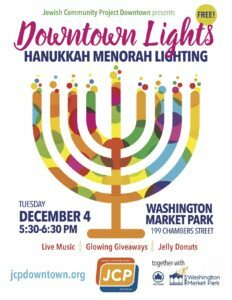 Join our friends at JCP to celebrate their Downtown Lights event! 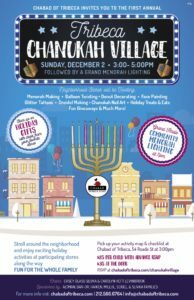 Join our friends at Chabad of TriBeCa to celebrate their Chanukah Village Event! 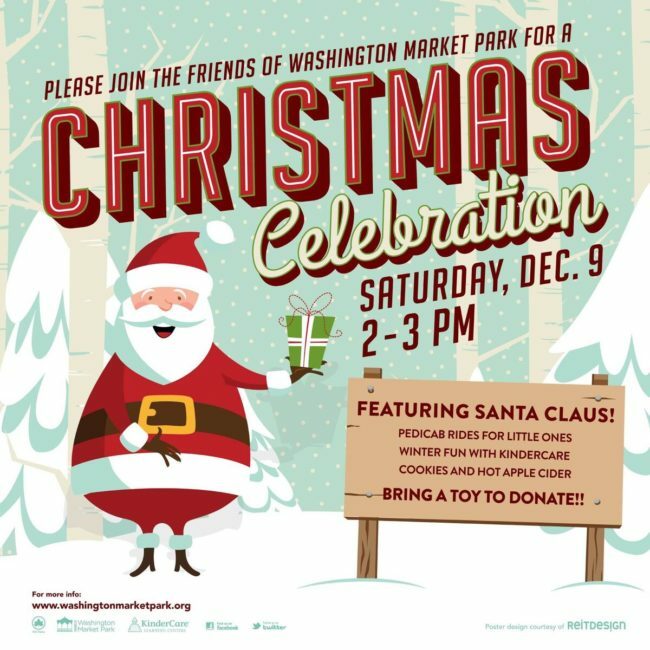 Santa will be the guest of honor at our annual Christmas party! Riding to the park in style – sometimes by pedicab, sometimes peddled by an oversized elf – Santa takes requests from children on his throne stationed at the gazebo. Consider supporting a local children’s organization and bring an unwrapped gift to the party! Carols are performed while homemade cookies and hot apple cider will keep everyone feeling warm and jolly. Join us for some merry-making! 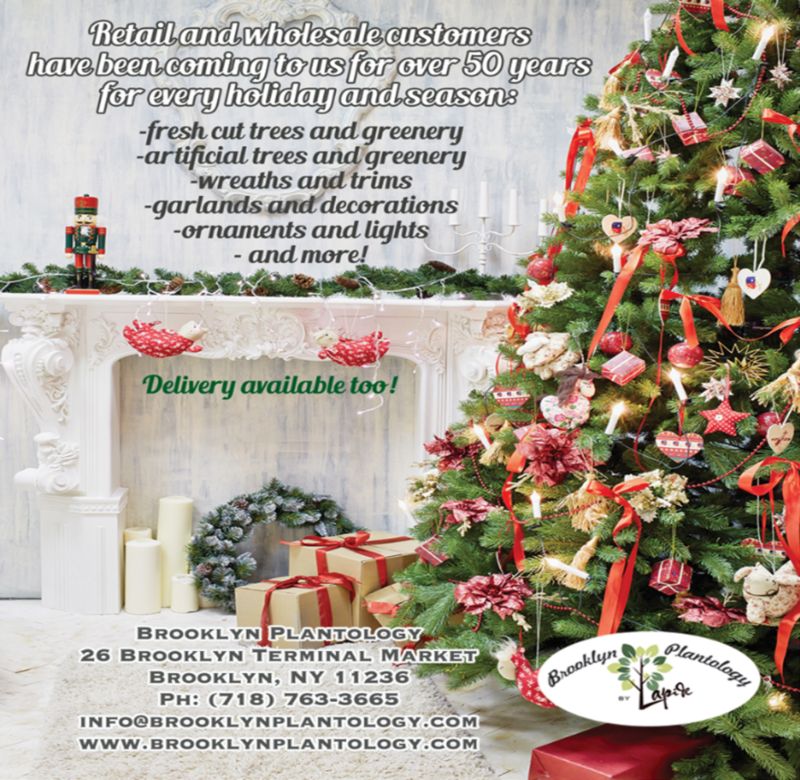 The Friends would like to thank Brooklyn Plantology by Lapide for contributing our beautiful gazebo Christmas tree and decorations for the last four years, and ReitDesign for designing our fabulous holiday party posters.